Retta, Johnny, and Roy have no parental rules to follow, so they've made up their ownAfter their mother passes away, Retta, Johnny, and Roy don't have much parenting in their lives. Their dad is a country singer who keeps them well fed but isn't around much. Older sister Retta takes control, leading her brothers on all sorts of unwise adventures and promising that one day they'll have money, safety, and a nice home. When their dad is away performing at night, they slip into a neighbor's pool to swim and pretend to have a glamorous life beneath the light of the moon. But freedom doesn't mean happiness, especially when a new crisis emerges. 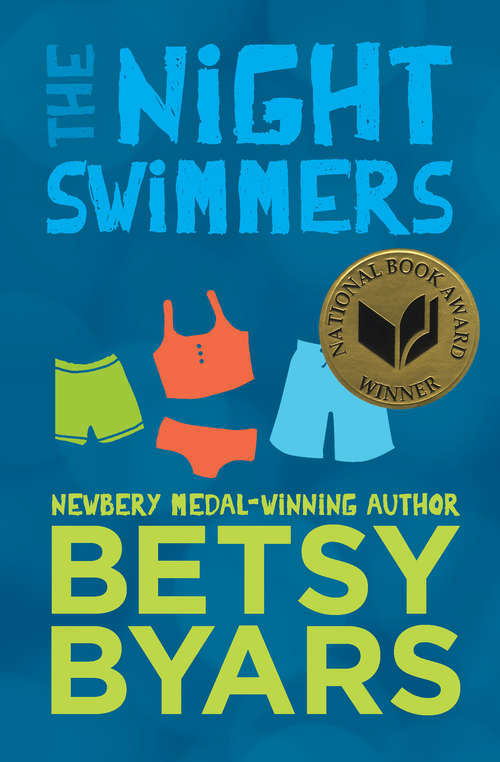 The Night Swimmers is a moving story of siblings who can count on nobody but one another. This ebook features an illustrated biography of Betsy Byars including rare images from the author's personal collection.